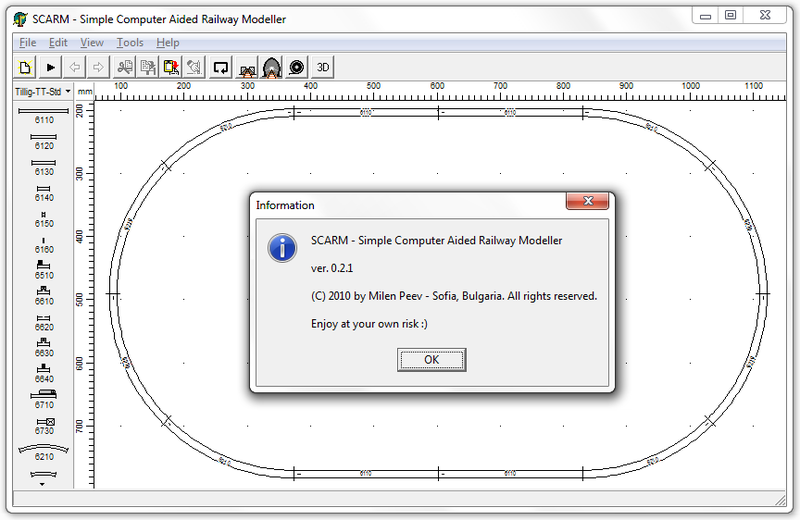 On 20 May 2010 (more than 7 years ago), I released the first public version of SCARM software for the local model trains community. At this time, it was quite limited in features, but was accepted very well, so I decided to expand it and to share it for free with all model railroaders, all over the world. For this purpose, I added translation wizard and with the help of many volunteers, the program and its help system has become multi-language. The reception worldwide was very good too and I received many thanks and compliments together with various requests for adding of new tools and different track systems. Over the years, SCARM has become one of the most popular track planning software packages with many powerful functions and features while keeping the simple and easy user interface. 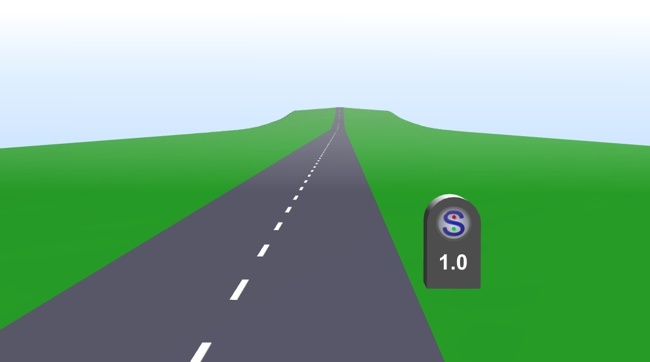 The rich set of predefined track libraries, the instant 3D Viewer, the intuitive interface and the stable work together with the freeware beta license are making SCARM the preferred choice for tens of thousands active users. 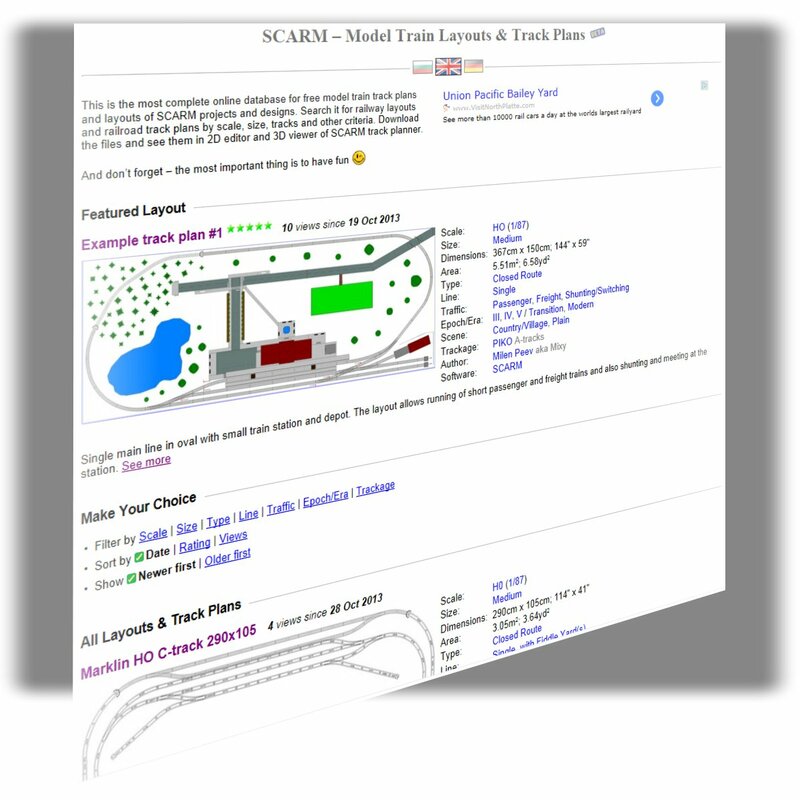 Many of them have already build their layouts, designed with SCARM and some beatiful examples can be viewed in the SCARM Layouts & Track Plans database. SCARM started as a hobby project, but quickly grew and now the work over the program and the supporting of the user base consumes almost all of my free time. The ads that I run on the SCARM website and the rare donations does not cover the expenses spent in time and resources for the development of the program, supporting of the web server and the website and responding to the various questions and user requests. In order to continue the work and to keep the quality of the software and its support, I decided to turn SCARM into partially commercial project with free base program for small and medium designs and extended paid version for large and/or complex layouts. Both editions will share same core with very similar code base and will be developed and updated together in the future on a same roadmap. The paid license will add several new features such as image export filters, support for more layers, advanced 3D viewing settings and some other functions. Some of them will be available at the time when v. 1.0 is released, others will come with future updates. The free version may be unloaded from some features and probably will limit the number of tracks and objects in the file, but will keep almost all of its functions in order to allow the designing of small and medium sized track plans and layouts without need for purchasing of license. Both versions will keep the ability to be expanded with free and paid extensions and more extension modules for various new features will come in the future. Each version will be able to open files created in the other and also to open all projects, designed with the beta versions of SCARM. All users who already have purchased license for MTS Power Edition prior to release of v.1.0 will get a free license key for the paid version of SCARM. Here is the moment to thank to all of you, who are using my software and especially to these, who helped me with information, catalogs, ideas, tests, corrections, translations, thoughts and even critics about my work. A special thanks to all, who shared their track plans and custom virtual objects designed in SCARM with all other users and fans of the program. And one more big THANK YOU to all, who have made donations to the SCARM project or have already purchased license for MTS Power Edition. This entry was posted in General and tagged milestone by Milen Peev - Author of SCARM. Bookmark the permalink. Thank you for all the work you have done to make this awesome program. Will you have a pre order sale and how much will the program cost? No, I do not plan pre-order sales. But when officially released, the License Key price will be reduced as a promotion for the first buyers. I am still not decided about the cost, but it will be around the price of a new HO-scale freight car. Considering the investments in tracks and rolling stock for our hobby, I thing that a software like SCARM on such price will be a fair deal.